Irresistibly funny, beautifully moving and boldly colorful, 'Made in Congo' is a one-woman play written and performed by Sabrina Moella and dramaturged and directed by Dian Marie Bridge. Told in English and infused with French and Lingala, the play presents 3 generations of Congolese women from the same family: Bina, the daughter, Mulongi, the mother, and Coco, the grandmother... The women all gather together one night to wait for the birth of a new baby girl. Congo has been described as one of the worst places on Earth to be born a woman, but Bina, Mulongi and Coco think differently. They all want to prepare the baby for a brighter future, and so they provide her with words of wisdom, resilience and strength during the delivery process. The women all relate to the Congo differently. Bina doesn't know the Congo, Mulongi misses it and Coco is resenting it. But despite the every day challenges that all of them are confronted to, they are still trying their best to keep their traditions alive, learning and transmitting their knowledge about Congolese womanhood from mothers to daughters. Their intent is to bring some dignity and hope back in the lives of Congolese women. 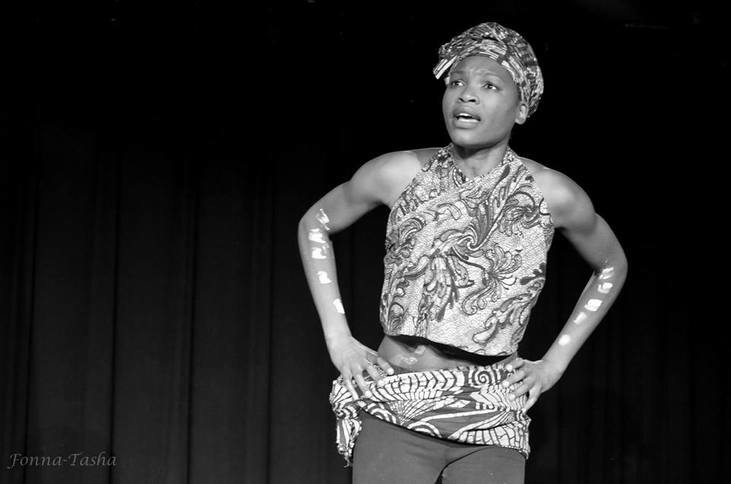 Through songs, dances, proverbs and old memories, they share with the audience and within themselves what it truly means to be a woman of Congolese origin today. Based on true family events, the play provides a unique and feminist insight into Congolese's past and recent history. 'Made in Congo' has had two successful presentations in Toronto: in May 2013 during the rock.paper.sistahz festival and in September 2013 during the Piece of Mine Theater Festival. 'Made in Congo' was also presented in Hamilton in October 2013 as part of the WE series. 'Made in Congo' had its New York Premiere during the United Solo Festival on November 5, 2014 on Broadway.